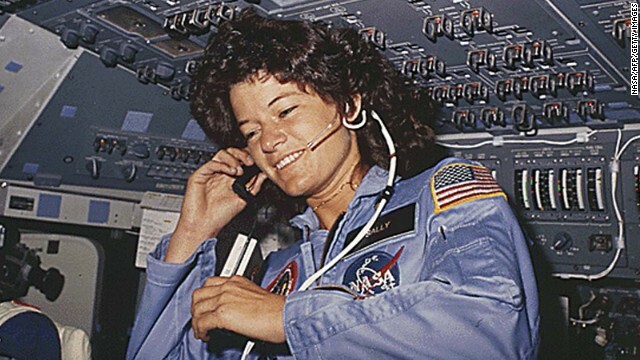 After two space shuttle flights in the 1980s, astronaut Sally Ride spent much of the rest of her life trying to encourage children, particularly girls, to give the sciences a shot. Ride, the first American woman in space, was part of a wave of women who entered the traditionally male disciplines of natural sciences and engineering in the 1970s. One of those she inspired was Catherine "Cady" Coleman, who told CNN's "Newsroom" that she never considered becoming an astronaut before meeting Ride in 1982. "When I'd think of what they look like, it's those Mercury Seven standing in front of an airplane, a bunch of guys that were older than me with not as much hair," she said. "And suddenly you meet Sally Ride, and it became clear to me that maybe this is something I can pursue."